Paul Swartwood was first introduced to blown glass in 2000, and was so taken by the process, he began studying glassblowing and sculpture at Salisbury University, where he earned his Bachelor of Fine Arts in 2002. 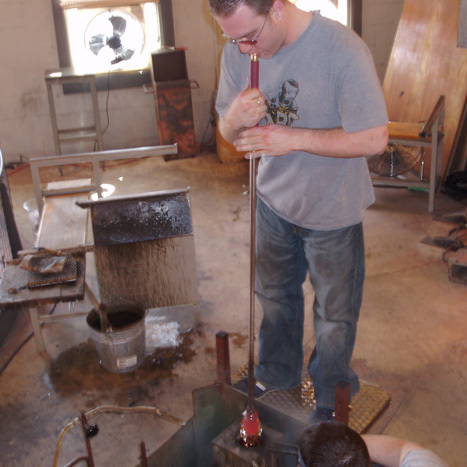 After graduation, he moved to West Chester, Pennsylvania, where he worked producing crystal ware at the renowned Simon Pearce glass company for four years, before relocating to Maryland, where he now works and resides. Over the years, Paul has been mostly influenced by Swedish and Italian techniques, admiring the luscious heaviness mastered by Swedish artists and the infinite combinations of color explored by Italian artists. 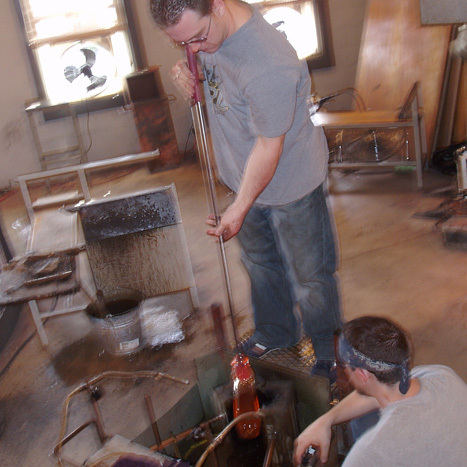 He has shown his work in several galleries along the east coast and has been invited to demonstrate his glassblowing techniques in numerous studios and universities. 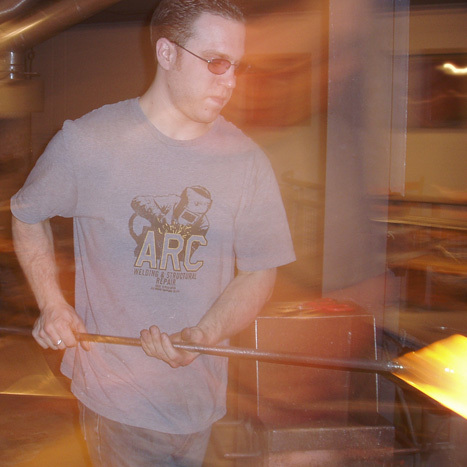 In January 2009, Paul became a resident artist in Glen Echo Park, where he teaches all levels of glassblowing classes, as well as offers private lessons to those who wish to refine their style and improve their technique.